This review is a little different because it’s going to touch on some personal history. Not only about a pretty good movie that had a good effect on growing up with mixed cultures but on how this site got its name. 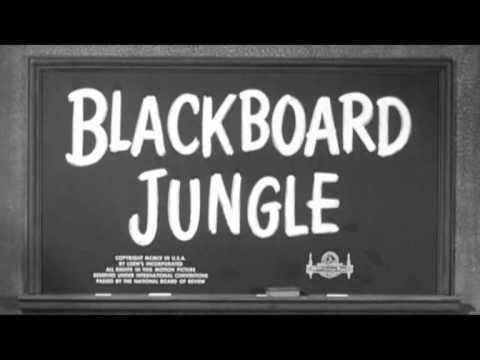 The Blackboard Jungle (1955) starring Glenn Ford, a very young Sidney Poitier and a “gone too soon” Vic Morrow is an old black and white film my brother and I happened upon when we were kids. The film served as a social commentary and for me was the first film that focused on inter-racial inner city kids growing up in and going to school together. For me, this is the film is what Dangerous Minds, Stand and Deliver, and Lean on Me were copies of despite the latter two being based on true stories and real people. Ford plays Richard Dadier, a teacher with a passion for helping younger people reach their highest potential. He’s also not a pushover and understands the duty that comes with being an educator. I had teachers like this, they seemed to be working less and less as I got older and finished school but the teachers that were dedicated to students are represented by Ford’s character in this film. The film also let me know what signs to look for in good and bad teachers. It was the first film I saw that showed a school with a multi-ethnic background. I went to school like this so the film being so old and showing this always made me wonder how come the stuff I was watching on TV growing up in the 80s and 90s were not showing similar environments. Needless to say because of the time of the film the school has its problems. Racism is an issue and it’s one that never seems to have gone away as well as the economic hardships that go along with the environment some people live in. No secret this film is highly recommended and a favorite of mine. I recently caught it on Turner Classic Movies and sat through it like it was the first time. Now, how did it affect the name of this site? Well, the film features people from different backgrounds all in one place that eventually chose to get along and better themselves. This site is just a room of all of the things I like, books, movies, video games and MMA in one place to share with all of you in a weekly blog. Hopefully, someone gets something out of it, but there you have it. 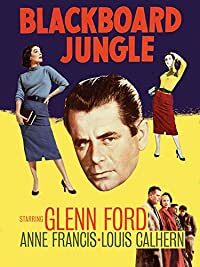 A review for a classic, and a little history lesson of where The Blogboard Jungle got its name.